Bike to Work Sign-up: Register for FREE use of Campus Rec shower and locker facilities after your commute. Bicycle Locker & Enclosures: Lease an individual high-security bicycle locker or convenient locked enclosure. Cat Wheels Bike Sharing: Rent a UA bike for the day! Available to students, faculty, and staff. Bike Valet Program: Just check-in and go! You don’t need a lock or space at a bike rack. 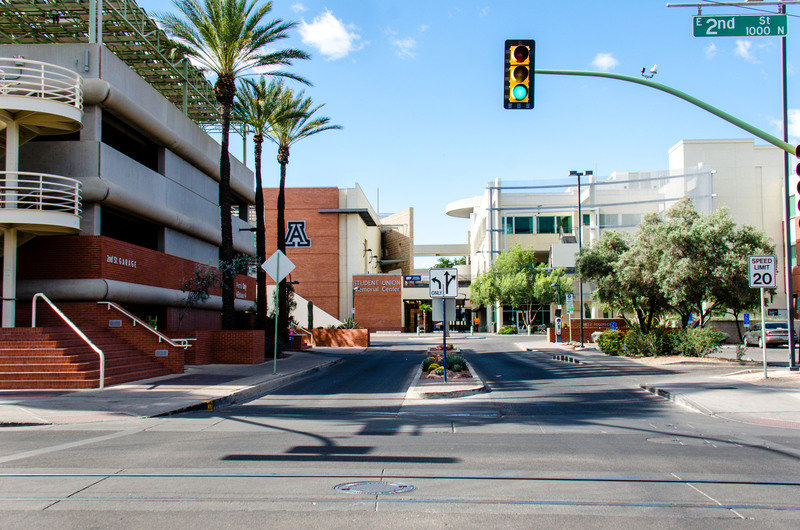 Permit Registration: Visit your new UA Parking Account Portal and get on a waitlist for a parking permit. Parking Permits: Registration, payment, locations, rates, waiting lists, regulations. Parking Garage Information: Garage locations, rate schedules, visitor reservations and related resources. Parking Citations: Regulations, citations, payment, appeals and information.